First World War recruitment poster; 'Everyone should do his bit. Enlist now.' 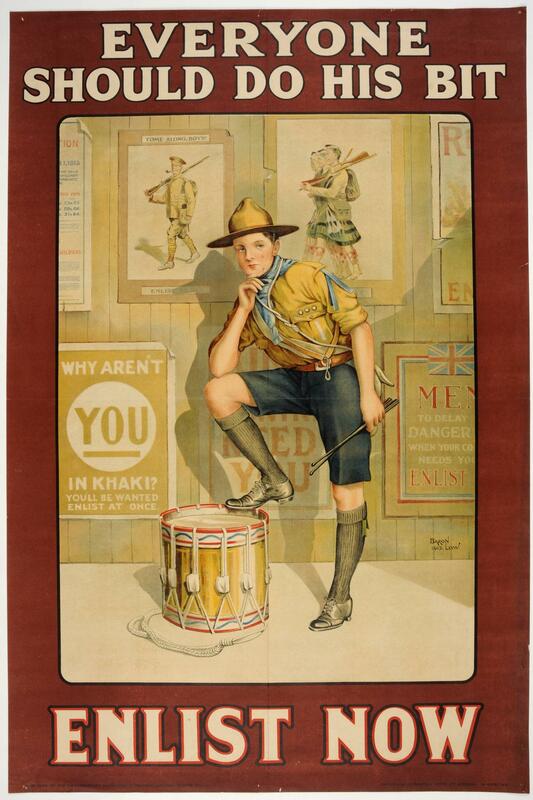 Poster with boy scout standing musing in front of a wall covered in recruitment posters. Published by the Parliamentary Recruiting Committee London No.121 Original artwork by Baron Low.